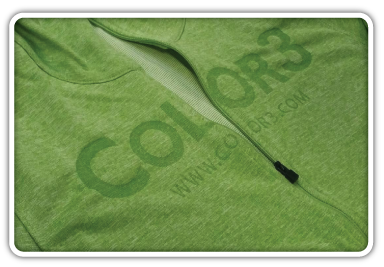 Laser Etching Services | Color3 Embroidery, Inc.
Laser etched decorating is now available! Take advantage of this technologically advanced process that cannot be duplicated by any other decorating technique. Its cutting edge precision and accuracy is sure to get your customers attention! Laser Etching offers a unique tonal quality with a high perceived value. It is a subtle decorating technique that makes a lasting impression. RECOMMENDED FABRICS: Not all fabrics are created equal! Medium toned, 100% polyester, and fleece fabrics have the most dramatic affect. Light colored fabrics tend to not show the etching very well. Dark fabric etching results may vary based on the fabric content. 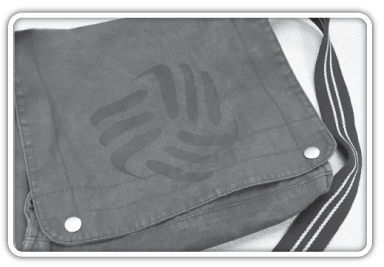 For special projects needing a logo that looks vintage or worn, 100% cotton and denim fabrics can be etched. Please ask for more information and examples of what this vintage style looks like. Click here to download Color 3’s Sample Laser Pack form. Simply choose your desired garments and colors from our list, and email this form to orders@color3.com along with your company’s vectorized logo. We will process this form like a normal PO, and when your job is complete, you will receive your tracking number and invoice. Hats off to your Team! Our group was very impressed with the hats and shirts. They left for Texas with smiles on their faces and wearing the new hats. You guys make ME look good.